United Nations (United States) (AFP) - Yemen's government and its Saudi and Emirati backers are accusing Huthi rebels of refusing to abide by a deal agreed two weeks ago on redeploying forces away from Red Sea ports in the war-battered country, according to a letter seen by AFP on Tuesday. The rebels agreed to pull back their forces from the rebel-held ports of Saleef and Ras Issa during talks held on February 17 that marked the first concrete step towards de-escalation in the nearly four-year war. 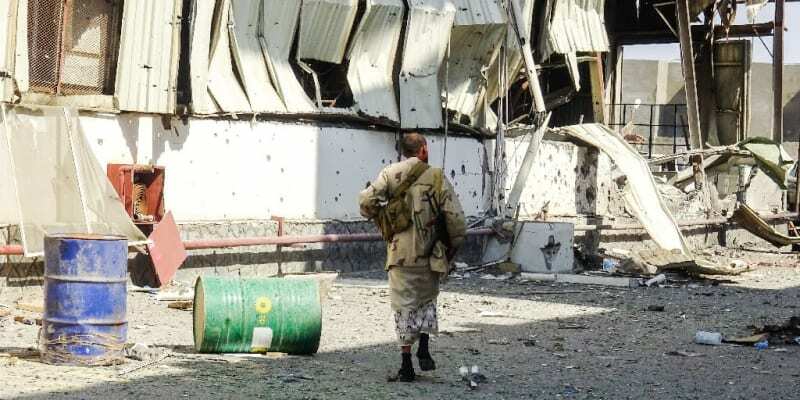 The Yemeni government, Saudi Arabia and the United Arab Emirates urged the Security Council to demand that the Huthis uphold their commitments, according to the letter sent Monday to the council and to UN Secretary-General Antonio Guterres. "Last week's sudden and unexplained refusal by the Huthis to withdraw from the ports of Saleef and Ras Issa comes as no surprise after months of stalling tactics from their side," said the letter signed by the three UN ambassadors. Since a ceasefire was agreed in Sweden in December, the Saudi-led coalition backing Yemen's government and the Huthis have accused each other of violations, but the United Nations has refused to apportion blame. UN spokesman Stephane Dujarric said discussions were continuing with both sides to try to get them to deliver on their commitments and pull back their forces from the ports. "Obviously the devil is in the details," he said. "The parties have committed themselves to that and we are trying to make sure that translates into actual facts on the ground." The Security Council is due to discuss Yemen on March 19 amid concerns that the fragile truce agreement may be unraveling. The pullbacks from Saleef and Ras Issa were agreed as the first phase of redeployment to be followed by withdrawals from the main port of Hodeida and other areas in the city that could be used as humanitarian corridors. The United Nations is hoping that a de-escalation in Hodeida will allow desperately-needed food and medical aid to reach millions in need in Yemen. Hodeida is the entry point for the bulk of imported goods and relief aid to Yemen, which the United Nations has described as the world's worst humanitarian crisis. Coalition forces have documented 1,754 Huthi ceasefire violations since the ceasefire went into force on December 18, said the letter, adding that 125 pro-government troops had been killed during that time.